Have a plan & do not wait until the weather radio alerts or outdoor warning sirens sound to seek shelter away from your residence. 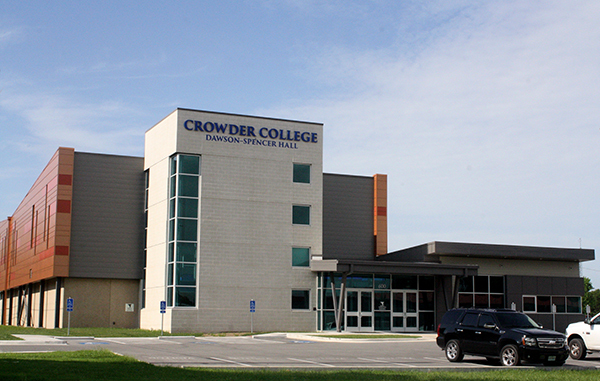 The FEMA Community storm shelters at Crowder College (600 South Ellis), Webb City High School-Cardinal Dome (621 North Madison), & at Madge T James Kindergarten Center (211 West Aylor) in Webb City along with the shelter at the Truman complex (810 North Highway D) in Oronogo and the shelter at the Carterville Elementary School (210 East Hall) will be opened before the outdoor warning sirens are sounded when Webb City is in the projected path of a National Weather Service issued Tornado Warning or Severe Weather Event with life threatening winds (in excess of 75 mph). Smaller unmanned shelters will be opened the day of projected severe weather and they are located at 1060 North Madison (Webb City Public Works); 300 North College (Webb City Head Start); & Liberty & Daugherty (just north of the old Filling Station). FEMA regulations do NOT allow for pets in any of the shelters; provisions will be made for service animals. Stay tuned to your favorite weather news service for updates. The FEMA Community storm shelters will be opened before the outdoor warning sirens are sounded when Webb City is in the projected path of a National Weather Service issued Tornado Warning or Severe Weather Event with life threatening winds (in excess of 75 mph). If you are in a structure (e.g. residence, small building, school, nursing home, hospital, factory, shopping center, high-rise building) then go to a pre-designated shelter area such as a safe room, basement, storm cellar, or the lowest building level. If there is no basement, go to the center of an interior room on the lowest level (closet, interior hallway) away from corners, windows, doors, and outside walls. Put as many walls as possible between you and the outside. Get under a sturdy table and use your arms to protect your head and neck. Do not open windows. If you are in a vehicle, trailer, or mobile home then get out immediately and go to the lowest floor of a sturdy, nearby building or a storm shelter. Mobile homes, even if tied down, offer little protection from tornadoes. If you are outside with no shelter then lie flat in a nearby ditch or depression and cover your head with your hands. Be aware of the potential for flooding. Do not get under an overpass or bridge. You are safer in a low, flat location. Never try to outrun a tornado in urban or congested areas in a car or truck. Instead, leave the vehicle immediately for safe shelter. Watch out for flying debris. Flying debris from tornadoes causes most fatalities and injuries. Once the tornado sirens are sounded, an officer with the Webb City Police Department will open the Webb City Public Library at 101 South Liberty Street as an emergency storm shelter. An officer will remain at the shelter until the severe weather threat has passed.